Los Angeles, CA, December 05, 2018 --(PR.com)-- OTC Market: Ticker Symbol: VNJA. Vanjia Corporation is pleased to announce the Initial Coin Offering (ICO) launched worldwide on December 5, 2018. 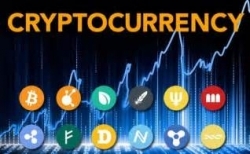 The initial reaction from the crypto-currency community has exceeded expectations, with positive responses from individual and institutional investors alike. Many investors from Asia, Europe, South America and the Middle East have taken advantage of the Private sale price of $0.30 per Vancoin. Public sale of Vancoin will begin February 29, 2019, with a price of $0.70 per coin. Vanjia Corporation welcome investors from all over the globe to participate in the ICO. To encourage multi-national participation, the ICO White Paper was published in 12 different languages. Vanjia Corporation is extending a special invitation to North American Institutional and “accredited investors” to participate in the Vancoin ICO. Details about “accredited investors” are available at www.vanjiacoin.com. Before the ICO, Vanjia Corporation already had a publicly traded company in North America. Following the successful first round of the ICO, Vanjia Corporation will immediately take the necessary measures for listing the company on major global Stock Exchanges. Purchasing Vancoin has never been easier. Simply visit their website (www.vanjiacoin.com) and make a purchase. Let’s build a better and brighter future together as global acceptance for Vancoin as the medium of exchange for goods and services.